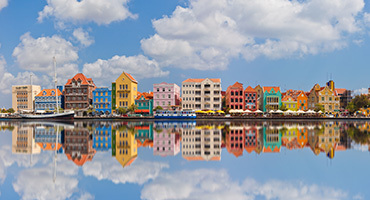 Willemstad is the capital of the lovely island of Curacao. This historical city, with its center designated a UNESCO World Heritage Site, is divided into four quarters: the Punda, Otrobanda, Scharloo, and Pietermaai Smal. 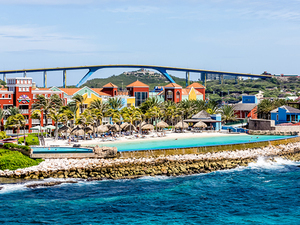 The name of Curacao is based on the Spanish name City of Giants due to the massive physiques of the Arawak Indians who were the original inhabitants. 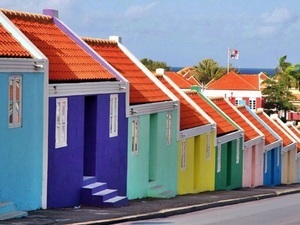 Part of the Dutch Antilles, Willemstad was once the capital and has over 150,000 residents. Willemstad is home to the oldest synagogue in the Western Hemisphere. Round trip transportation from your Curacao Willemstad cruise ship terminal! Guided sightseeing with stops and all entrance fees included! Highlights and stops around Curacao island! Lunch stop at a local restaurant! Sightseeing of Queen Juliana Bridge, Willemstad, Blue Curacao Liquor Factory, West point, Boca Tabla Cave, Flamingo area, Salt Flats and many more! With this Curacao East to West Complete Island Highlights Excursion, you'll get to see the most iconic sites of the island. You'll see the Queen Juliana Bridge, Boca Table Cave, Flamingo Area and many more! You can't miss this fantastic adventure. Private round trip transportation from your Curacao cruise terminal! Private English speaking certified driver/guide for up to 7 hours, can be less to fit ship time in port! 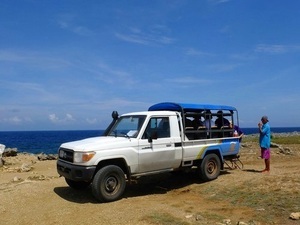 Affordable, private island excursion with driver! All snorkel equipment including mask, sterilized snorkel/mouthpiece, and fins (if requested in advance)! See Curacao the way you want! You can tailor make this excursion to perfectly fit your private group. You'll be given a great selection of choices, a private guide, and comfortable transportation and you can take it from there. Fully licensed and insured 4WD open air Toyota Land-Cruiser transportation! English speaking certified guide and driver! Guided snorkeling at 2 sites from shore - tugboat wreck and reef! Complimentary cold water and lemonade! Discover a fascinating tugboat wreck site and see Fort Beekenburg on this half-day historic snorkel shore excursion. There are 2 options for this Sunscape Resort Day Pass - Early Bird Day Pass 08:00 AM to 05:00 PM and the regular resort Day Pass 10:00 AM to 08:00 PM! Unlimited meals, snacks and beverages (alcoholic and non-alcoholic) at any of the restaurants and bars of the resort including kid-friendly menu options! Five swimming pools including main pool with swim-up bar, a children's pool, a quiet pool, and pool activities! Sun chairs by the pool and beach! Beach and pool volleyball, rock climbing! Explorer's Club for Kids ages 3 to 12 with supervised activity programs! Core Zone for teens from 13 to 17 with a variety of activities like Board Games, PlayStation, Pool Tables and more! Access to the Casino, one of the largest on the island! Free Wi-Fi in common areas! Enjoy the best of Curacao with this all-inclusive resort day pass excursion to the 5 star Sunscape Curacao Resort located right on the beach. You'll have activities galore along with unlimited food and drinks while you just relax and take in the gorgeous views, or play all day to your heart's content. Great for families too with a special menu for the kids and the Explorer's Club with supervised activities! Round trip, air-conditioned transportation pre-arranged from your Curacao cruise ship terminal! English speaking staff to greet you at your Curacao cruise pier! 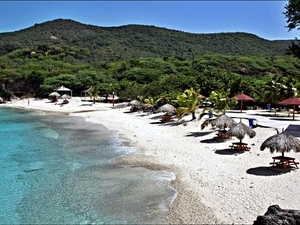 Full access to the longest stretch of beach in Curacao including beach chairs and lounges! Full access to the 3 swimming pools and swimming lagoon! Unlimited Lunch, snacks and beverages including soft drinks, juice, house brand beer, wine, cocktails, liquor, tropical and blended drinks! Free Wi-Fi in the lobby! 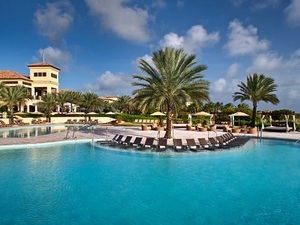 Enjoy an all-inclusive beach resort day pass at Curacao's premier luxury beach resort. All you want food, drinks, 3 swimming pools, and much more! 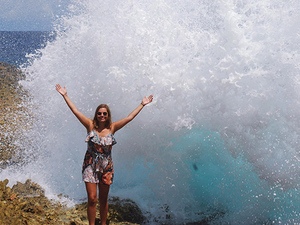 Have a blast with this Curacao excursion! 38' or 20' speed boat depending on group size! English speaking certified snorkeling guides and crew! Bottled water, soft drinks, juice, ice cold beer, and lunch box (fresh salads and bread)! Beach stop and guided snorkel at and inside the Blue Room Cave! Enjoy calm waters, sandy beaches, and the famous Curacao Blue Room, a stunning, partially submerged, cave where everything you’ll see is a lovely shade of brilliant blue. Fully licensed and insured 4x4 Toyota Land Cruiser safari style transportation! English speaking certified driver and guide! Entrance fee to Shete Boca National Park! Beach break at Cas Abao Beach! Option to purchase lunch at a local restaurant! With this Curacao Off-Road Jeep, Snorkel, and Beach Adventure Excursion, you'll enjoy a fun combo that lets you explore the island via off-road Jeep and then the underwater beauty on a guided snorkel snorkeling right from the shore. Top it off with a relaxing beach stay. 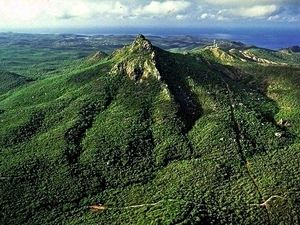 Entrance fee to Christoffel National Park! 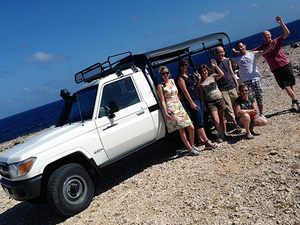 Have fun during your day in Curacao and visit the Christoffel National Park on board a 4x4 Toyota Land Cruiser. You'll get to see the orchid route inside the park and admire the landscape and learn about the flora and fauna. Enjoy! Guided sightseeing at the stops with all entrance fees included! 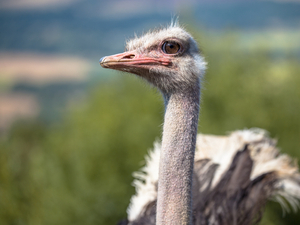 Visit the Ostrich Farm and Hato Caves! 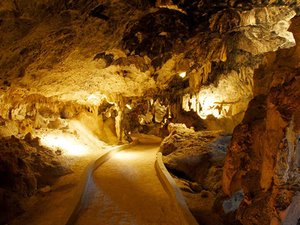 On this sightseeing excursion, you'll have the opportunity to visit the famous Hato Caves and the Ostrich Farm. So lace up some comfortable shoes, bring a camera, and enjoy nature. Guided sightseeing with stops at highlights! This half day Curacao sightseeing excursion takes you from the East side of Curacao to downtown Willemstad. 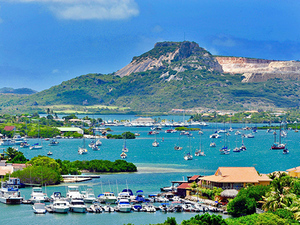 The excursion includes stops at the Curacao Liqueur Factory and other great city highlights! Fully licensed and insured 4WD Toyota Landcruiser safari style transportation! Enjoy the Caribbean's nature at its finest on this Curacao Excursion, with a guided snorkel and fun sightseeing Jeep safari. Round trip transportation from your Curacao cruise ship terminal! 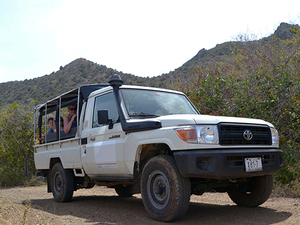 Fully licensed and insured 4WD open safari style Toyota Landcruiser transportation! Professional English speaking shore excursion guide and driver! Purified water and lemonade included! Visit the mini desert of Curacao, Suplado, Boka Table and Boka Pistol! See the unique, natural water shows put on by Mother Nature herself on this adventurous excursion in a Landcruiser with your driver guide. You'll see wide open desert plains, visit a natural Jacuzzi, visit a cave with roaring surf and thundering sounds, and, finally, visit the Boka Pistol. Sightseeing with stops with all entrance fees included! Jan Kok Flamingos, Landhuis Santa Martha, Shete Baka Park and Kenepa Beach Break! Explore the beauty of Curacao Island's westside - see the Jan Kok Flamingos, Shete Boka Park, Kenepa Beach Break and more. Round trip transportation from your Curacao Willemstad cruise ship pier! Guided kayak and snorkeling with instructions and supervision! All kayak gear included, no experience necessary! 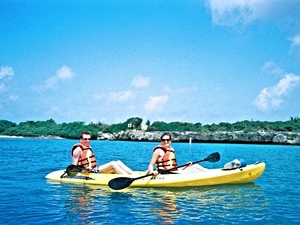 A fun way to see the coastline of Curacao - a guided bay kayaking and shipwreck snorkeling excursion at the Tugboat! 38-foot speed boat ride with 600HP twin engines! English speaking certified snorkeling guides and boat crew! Bottled water, soft drinks, or juice! Beach stop at a white sandy beach! Enjoy a relaxing snorkel, swim, visit the picturesque Spanish Water Lagoon, and marvel at the massive yachts that are docked in front of impressive mansions. Perfect way to discover Curacao island! Highlights and stops around Curacao island including a beach visit! A complete Curacao island excursion...see all of the wonderful things that Curacao has to offer! Enjoy the highlights of both the East and West side of Curacao. Enjoy a beach stop at the end of this sightseeing and beach excursion and plenty of excellent photo ops! 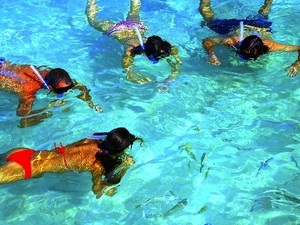 Guided snorkeling with instruction and supervision! 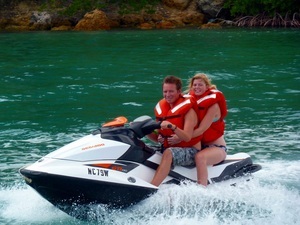 Option for single or double riding jet ski! 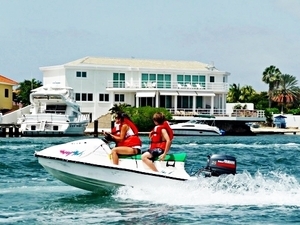 Open the throttle and add a little bit of speed to your day in Curacao on this guided jet ski adventure. Enjoy a guided snorkel at the Tugboat Wreck too. Option for single or double riding Aqua Boat! A fun way to see Curacao - hit the water on a smooth riding Aqua Safari Boat. More stable than a jet ski but just as much fun. Enjoy guided snorkeling at the Tugboat Shipwreck too! Private yacht cruise for the Curacao sunset! The perfect ending to your day in Curacao on a private sunset cruise. 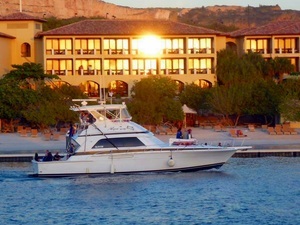 Enjoy the sunset with beverages and snacks as the boat motors the bay. Private just for your group. 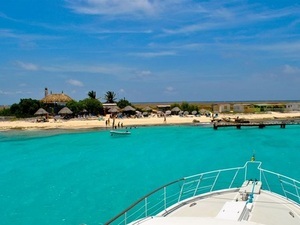 Private boat ride to Klein Curacao Island! Private English speaking certified guide and boat crew! 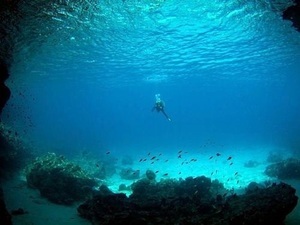 Private guided snorkeling with instructions and supervision! Complimentary lunch and beverages on Klein Curacao Island! See a sliver of heaven known as Klein Curacao Island on this private yacht excursion with pure white beach, vivid turquoise water, private boat, snorkeling, lunch and more! English speaking certified staff and boat crew to provide assistance onboard! All necessary fishing equipment included! Private deep sea and big game fishing boat charter excursion, half day or full day charter options! Private deep sea fishing charter with one of the best sport fishing companies in Curacao! 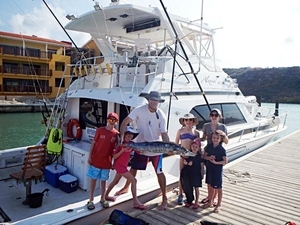 Try your hand at landing the big ones - Marlin, Dorado, Tuna, and more! Private fishing in the Caribbean at its best! Guided sightseeing with stops with all entrance fees included! Highlights and stops around the island including Hato Caves, Ostrich Farm, the Chichi Factory and the Aloe Vera Plantation! Get away from the touristy sights...explore Curacao's interesting off the beaten path highlights including famous Ostrich Farm and Hato Caves! English speaking certified snorkeling guides, boat crew and captain! Guided snorkeling with instructions and supervision! 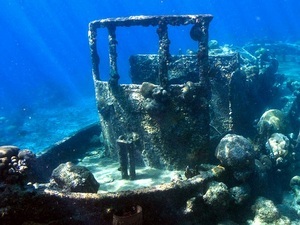 Enjoy guided snorkeling at the famous Tugboat Wreck. 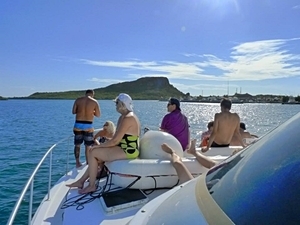 Cruise the coastline of Curacao on a luxury 50ft yacht. Visit a beautiful beach and enjoy light snacks, beverages and great shore sightseeing!